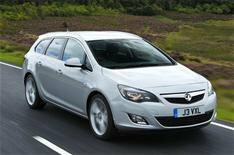 Lifetime warranty for used Vauxhalls | What Car? Vauxhall has extended its 100,000-mile lifetime warranty offer to cars bought through its Network Q approved used programme. The cover applies only to cars that are less than 12 months old and have covered fewer than 30,000 miles although this equates to 80% of Network Q's stock. As with the 100,000-mile lifetime warranty introduced on new Vauxhalls last summer, the policy covers the powertrain, steering, brake and electrical systems of cars. It also has to be maintained with free yearly inspections at Vauxhall dealers or approved repairers. Once the standard three-year warranty has expired, servicing also has to be done at Vauxhall franchises or approved repairers. While competition authorities have insisted that such clauses are not allowed on the usual three-year new car warranty, and that servicing can be carried out at independent garages, Vauxhall managing director Duncan Aldred says the company has received the seal of approval for these conditions to be included for the remainder of the cover. There are still no details, however, on how the warranty could be transferred to subsequent owners of Vauxhalls sold privately. Mr Aldred says options are being reviewed, but said there is no timetable for any decision on how the cover may be passed on to subsequent owners. Mr Aldred says a third of Vauxhall buyers have been influenced by the introduction of the 100,000-mile lifetime warranty, while 10% say they would not have purchased a Vauxhall without it. He also said the main change to the advertising of its warranty has been to remove claims that it is the first manufacturer to do so because other manufacturers have offered 100,000 mile warranties, albeit with time limits, which are not imposed on the Vauxhall cover.